The conference theme - 'The North - A Zone of Peace' - came originally from Agneta Norberg who suggested the idea of a ‘Nordic Peace Zone’ in which NATO, is not allowed to deploy troops or weapons or install weapon components (such as radars ). This is a really good idea! 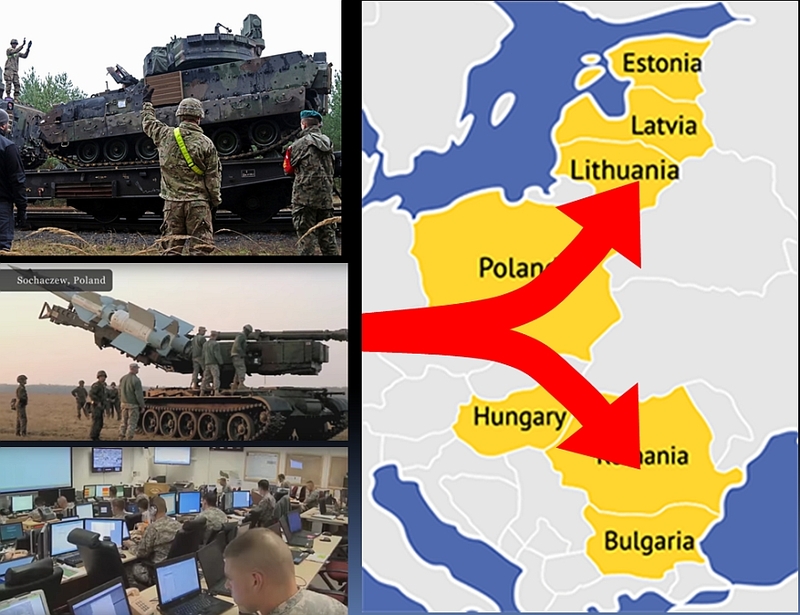 Actually, we need a ’European Peace Zone’ too because of the massive US military exercise in Europe, aimed against Russia – the most recent being ‘Operation Atlantic Resolve’. 3,500 US troops and 2,500 tanks and other military vehicles are arriving in Germany from the US and being joined by a further 1,600 vehicles from storage facilities in the Netherlands. These military units will soon be moved out across Eastern Europe for exercises with allies in the Baltic region, Romania, Bulgaria, Poland and Germany. And this is not a one-off - the US and NATO carry out many military operations and exercises in the same arena where millions were killed in two horrific world wars. 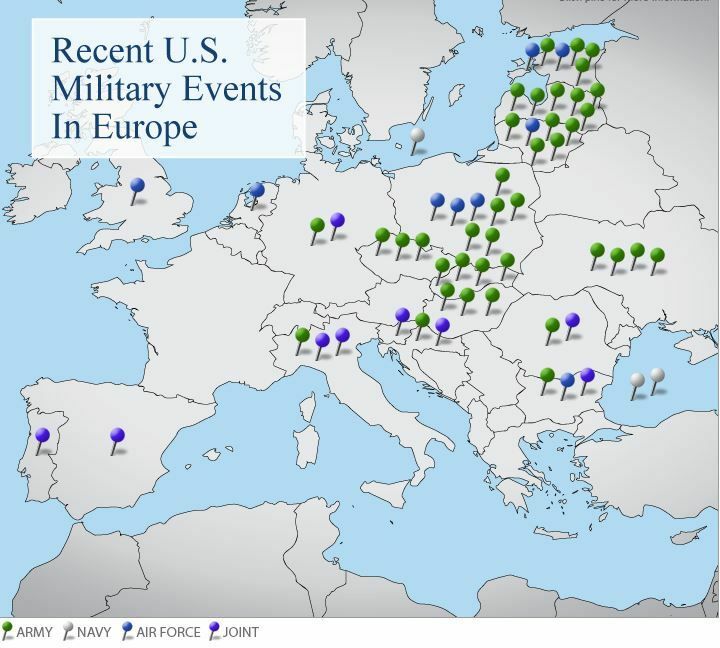 Since the fall of the Berlin wall in 1989, the US has established military bases in many ex-Soviet Union countries - Estonia, Latvia, Lithuania, Poland, and Hungary - and frequent war training activities are carried out in these countries. 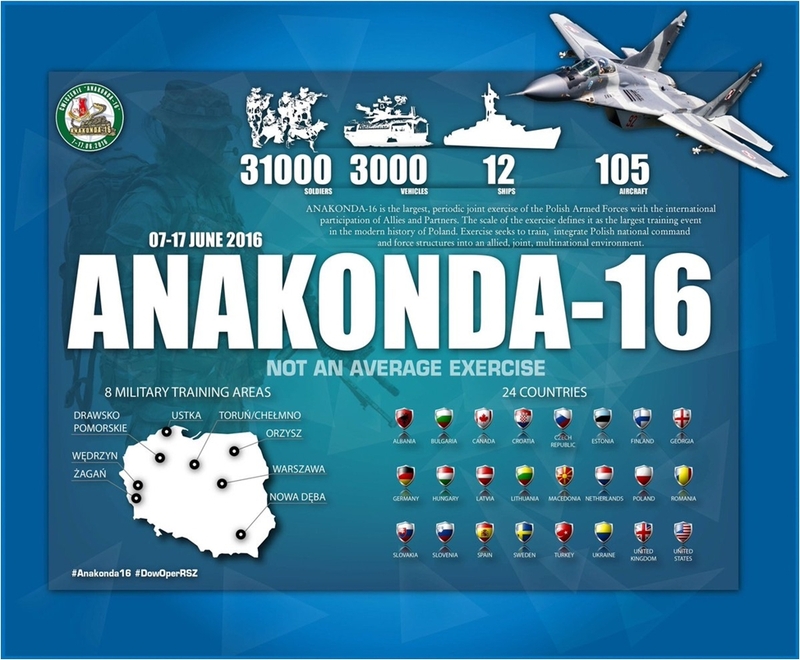 These exercises are not reported by western media which instead reports continuously of the ‘Russian threat’. The UK also plays a role by holding a major international military exercise called ‘Joint Warrior’ twice a year (in April and October) predominantly in North West Scotland. Organised by the Ministry of Defence it is one of Europe's largest military exercises involving up to 14,000 military personnel from British armed forces and around 14 other allied countries. 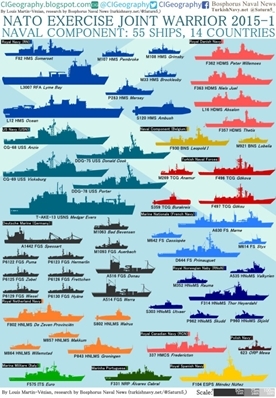 Some 55 naval vessels, 75 aircraft and numerous ground based units participate in a typical exercise. Operations include airborne assaults, amphibious landings and training in counter-insurgency and interstate war. During the 2 weeks of these exercises increased military activity also occurs at the nuclear weapons base at Faslane on the Clyde and last year Unmanned Warrior 2016 included what the Royal Navy described as its first ‘robot wars’ - involving aerial and underwater drones. The Warsaw Summit also increased the possibility of NATO taking collective military action by recognising cyberspace as “an operational domain, alongside air, land and sea”. Thus, cyber attacks can potentially trigger an Article 5 military response (an attack on one country is an attack on all). This is particularly worrying because of the difficulty in determining the source of cyber attacks and technical evidence of them is rarely shared or clarified. To resource all these actions and more, NATO expects its members to increase their spending on defence by 3% - totalling an additional $8 billion. 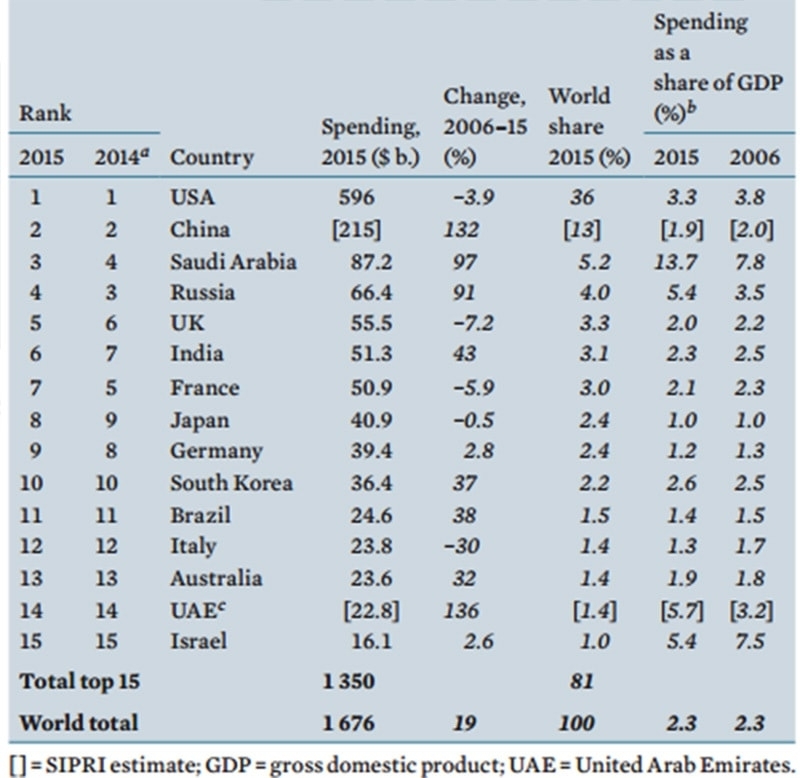 According to SIPRI, US military spending is already 34% of the world’s total and all NATO countries together add up to more than half - whereas Russia spends 4% of the world’s total. Who then is the most dangerous? However, it shows that the demonisation of Putin and Russia is good business for the western military industrial complex. NATO is therefore set to continue to promote military intervention and posturing as the way to resolve problems. This can only provoke military responses from others and worsen the situations in Iraq, Afghanistan and Ukraine. We should have learned from the Chilcot Enquiry about the UK’s role in the Iraq War that the reasons given for war must always be challenged – and it is up to us to continually make that challenge. The next NATO Summit is due to be held at the opening of the new NATO Headquarters in Brussels in 2017. 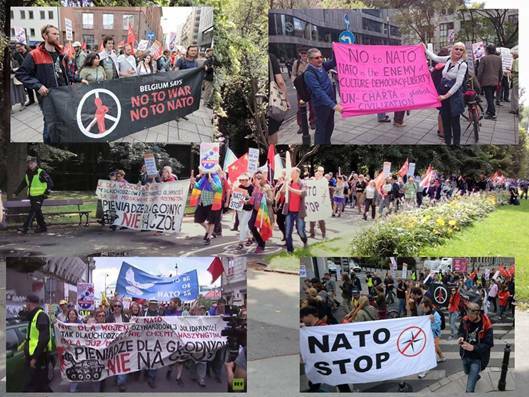 The exact dates are not yet known but an international response, challenging NATO and militarism, is being planned. More information, when available, will be published on the No to War, No to NATO website: http://www.no-to-nato.org. NATO is of course also very active within Scandinavia. In February and March last year, NATO held its annual 2 weeks of high intensity operations in Norway, entitled ‘Exercise Cold Response 2016’. It included land, sea and air mobilisations, with military contributions from 12 NATO members and 2 partner nations. 15,000 troops took part from (among others) Sweden, Finland, Denmark, Latvia, Poland, Germany, France, Britain, Canada, Belgium, Spain and the Netherlands. 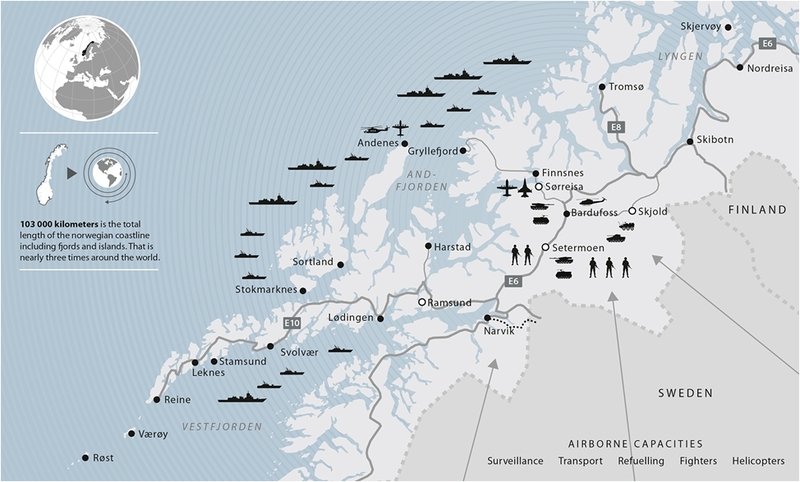 The increasing frequency of exercises such as this has led to the US establishing storage depots for tanks and amphibious assault vehicles in Norway. Scandinavian countries are slowly but surely remilitarising. Last July the Swedish government signed a host nation support agreement allowing NATO to operate more easily on Swedish territory for exercises or in the event of war. Then, on 30th September, Sweden announced that it will join NATO's Strategic Communications Centre based in Latvia. Just a few days before this Sweden had announced it was remilitarising the Island of Gotland, located halfway between Sweden and Latvia in the middle of the Baltic Sea, re-establishing a permanent garrison there in April. There are also calls for NATO to militarise the Åland Islands, a group of Finnish islands which have been demilitarized since the 1856 Treaty of Paris marked the end of the Crimean War. Also, an unofficial agreement between Denmark and the Soviet Union that Bornholm Island (briefly occupied by the Soviet Union at the end of World War II but returned it to Denmark in 1946) would not be used by NATO is also being questioned. Sweden’s Skaraborg Regiment and Wartofta tank company carried out an exercise in the Gotland archipelago in November 2015 focussing on the Baltic island group. In September Aurora 2017 will be the largest military exercise in Sweden in more than 20 years, The US will be practicing how to move a Marine Corps brigade from Trondheim, Norway to Sweden in the event military tensions escalate in the Baltic region. An advance guard of US Marines are already being established in Trondheim. In 2013 the Global Network annual meeting was held in Kiruna in the north of Sweden to draw attention to the growing concerns about how the ‘High North’ has become one of the largest training places for NATO war exercises and advanced weapons testing. These threatening exercises are undoubtedly to show Russia what NATO and the US are prepared to do to ensure access to new sea routes and new resources that become available in the Arctic as the ice cap recedes due to climate change. Kiruna station is extensively used by the European Space Agency (ESA) and routine operations are fully automated and controlled from the ESTRACK Control Centre (ECC) at the ESA European Space Operations Centre (ESOC) in Darmstadt, Germany. The GPS Tracking and the Data Analysis Facility from the Galileo Experimental Sensor Station (GESS) at Kiruna Station both deliver continuous measurements to ESOC’s Navigation Facility. Many of these operations, supported or provided by Swedish companies and the Swedish government, help to support the hegemonic interests of the US and NATO. While in Kiruna we also visited the Esrange Space Centre, part of the North European Aerospace Test Range (NEAT) which covers a huge 24,000 square kilometres in northern Sweden. 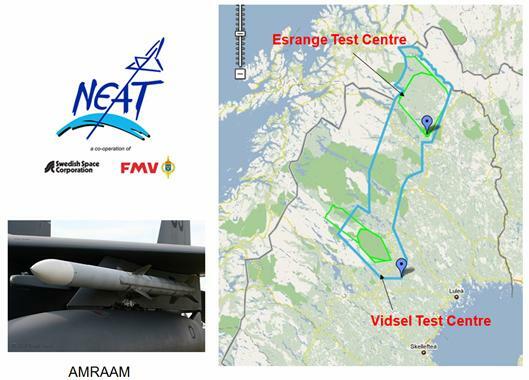 NEAT is Europe's largest overland test range for aerospace systems and also includes the Vidsel Test Range. 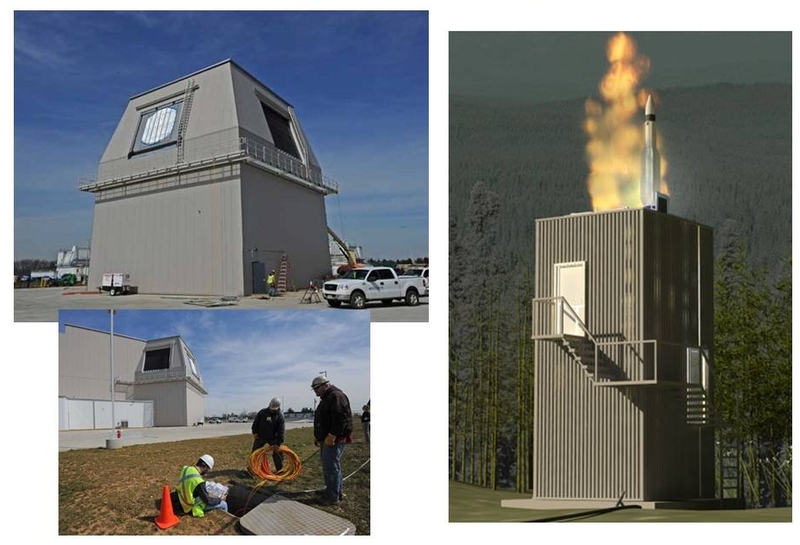 The 216 mile long testing area makes it possible to test drones and missiles such as the AMRAAM (Advanced Medium-Range Air-to-Air Missile). The militarisation of large areas in this region is also endangering the traditional reindeer herding lifestyle of indigenous Sámi people and by allowing these military operations the Swedish government is ignoring the indigenous declaration that they have signed. Military operations and war fighting are not just about weapons systems. The most important resources of the military are information and control - especially when the operations are spread over a wide geographical area. Information about targets, troop movements, the weather, etc. and control of distributed military components, ships, tanks, personnel, drones, etc. 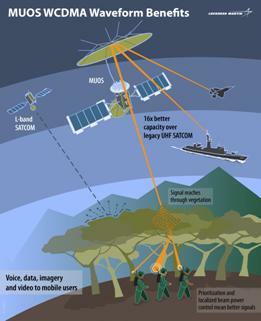 Military operations are informed by and controlled through satellite systems that provide space power - technologies for surveillance, communication, global positioning, targeting, guidance and remote drone operations. 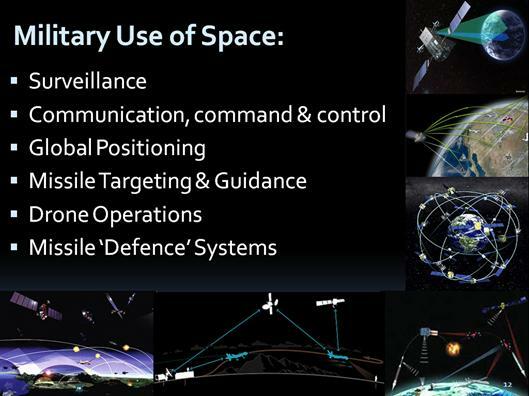 Space systems enable (in theory) centralised command and control of all branches of the military, allowing them to operate with precision and in a coordinated way. Global surveillance and power projection also provides opportunities for the military to locate, monitor, track and target any groups or individuals they may take an interest in. In 2015 the GN visited Sicily to support the protest against the U.S. Navy’s Mobile User Objective System (MUOS) - a narrowband tactical satellite communications system designed to significantly improve ground communications for US forces on the move. Its job is to provide the military with faster data transfer and broadband connection - via satellite systems similar to those used in smart phones. 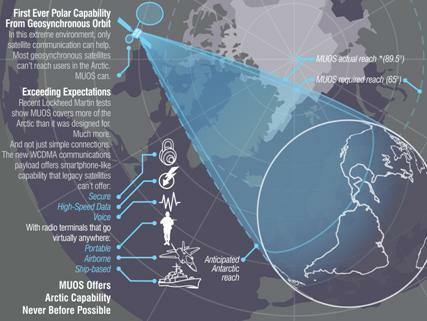 In 2013 Lockheed Martin demonstrated that it was possible through MUOS to extend Arctic communications almost to the North Pole. This is probably the most northerly successful call to a geosynchronous satellite and makes the system so important to the current military emphasis on the Arctic and the far North. 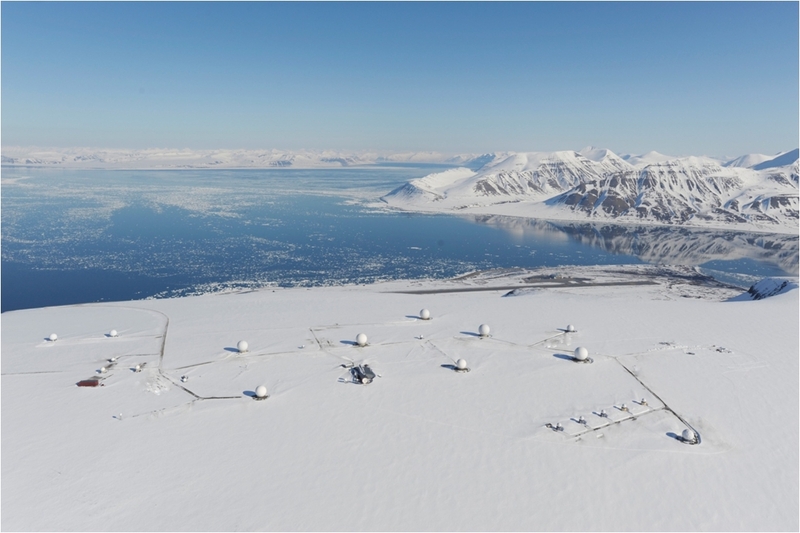 The Arctic region also hosts other important ground based stations used by military satellites (their high latitude location means that they can download information for all 14 daily passes of polar orbiting satellites). 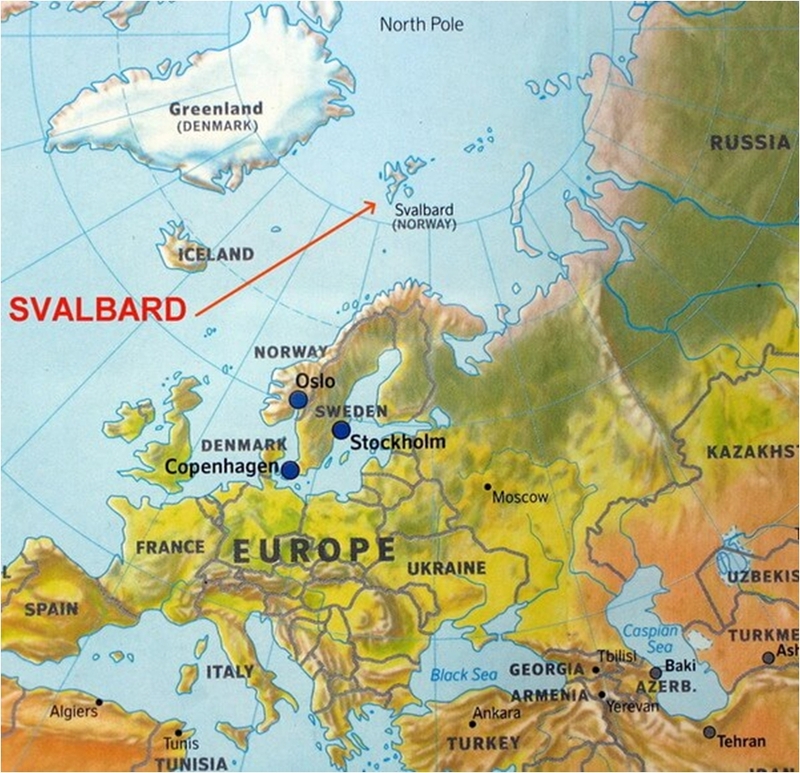 At the GN conference in Kiruna in 2013 Bard Wormdal showed how the satellite receiving station established by the US and Norway on the Island of Svalbard is being used for military purposes – thereby violating the Treaty of Svalbard of 1920 between Russia and Norway, which strictly forbids military operations of any kind from being carried out from the island. 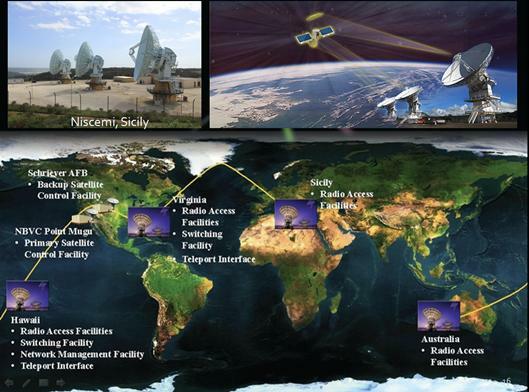 The US military encircles the globe, in space and on the Earth, through satellite and computer network systems. 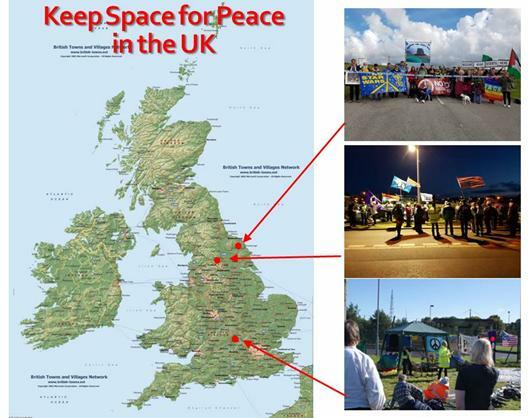 The Global Network “Keep Space for Peace Week” last year focused on the “Chokehold on Russia and China – Why is the US provoking global war?” and it included a number of European and Scandinavian events in Britain, Germany, Italy, Sweden and Norway. 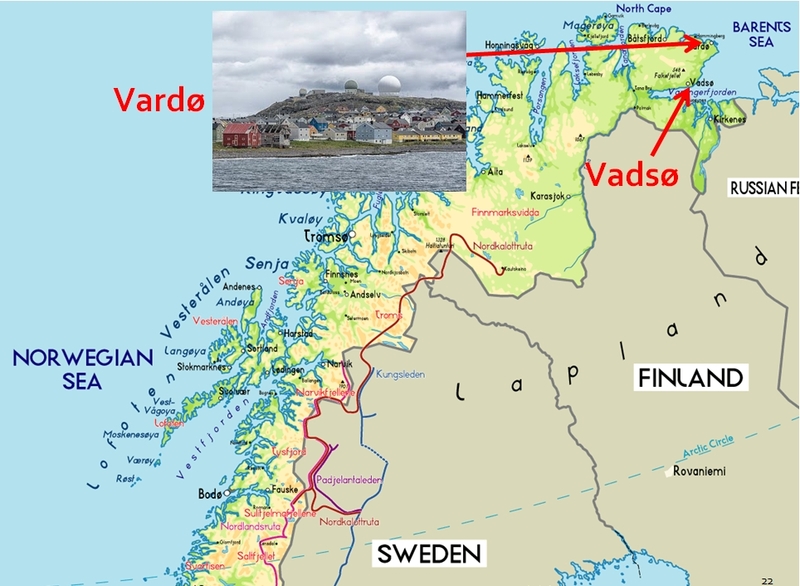 One of the activities was a conference was held in Vadsø in the northern tip of Norway, home of a large US Space Communications-Intelligence Station near the Russian within easy reach of Russia. The conference was called ‘Military Intelligence as a democratic blind zone’ and explored, among other things, the gathering and sharing of SIGnals INTelligence (SIGINT) and COMmunications INTelligence (COMINT) and the cooperation between Norway and the NSA from 1952 onwards. These electronic intelligence gathering systems are used extensively all the time - before and during military operations. In the same week in the south of England, Oxfordshire Peace Group organised a rally at the US facility at RAF Croughton which is a relay centre for the CIA agent and was named in leaked documents as playing a key support role in embassy-based spying. Data from the global network of US embassy spy posts (such as those implicated in the eavesdropping on Angela Merkel’s mobile phone) are funnelled back to Washington through this facility. 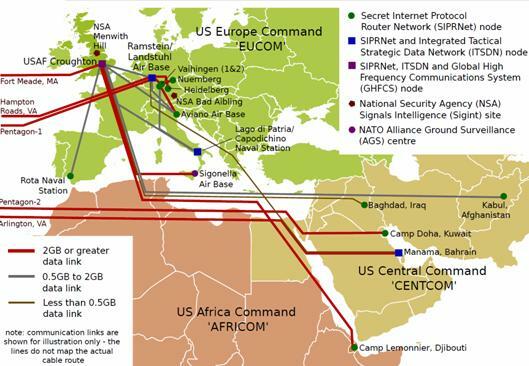 A secure fibre-optic link was made between the base and the US air base at Camp Lemonnier in Djibouti in 2013 to co-ordinate drone strikes over Yemen. The following year the US announced it would spend £200m on a project to upgrade the base and further concentrate US intelligence activity to provide "world-class combat support" for activities including "global strike operations". In North Yorkshire, two actions were held – one organised by the Campaign for Accountability for American Bases (CAAB) at Menwith Hill and the other by Yorkshire CND at Fylingdales. As a BMEWS station, Fylingdales could be the trigger that initiates the firing of UK and US nuclear weapons in response to a real missile attack or a mistaken false alarm. However, as part of the US missile defence system, it is also a component of the US nuclear strike force. There is clear evidence that the UK and US governments work together to aid Saudi Arabia’s serious breaches of international law by targeting civilians in Yemen. Britain’s new Foreign Minister, Boris Johnson, is sweeping aside the evidence and silencing the media in a cynical move to maintain lucrative UK arms sales. The UK government has misled parliament by denying its role in these illegal operations. In his book, Web of Deceit, historian Mark Curtis lays out “Britain's real role in the world” and concludes that, for several centuries, the primary function of the British state is to aid British companies in getting their hands on other countries' resources. This means initiating war, military interventions, threats, bullying, and other aggressive actions, usually in support of the US and/or Nato. This global imperialism is dressed up in propaganda as “countering terrorism”, “improving world security”, “working with our allies” and similar pieties propagated by the 'mainstream' media. In this way, Britain is partly responsible for appalling acts of violence, while proclaiming its supposed desire for 'peace' and 'security'. 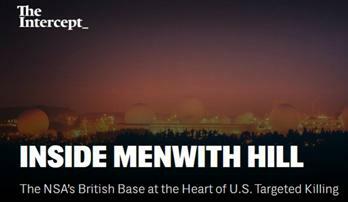 The siting of these critical installations on British soil underlines the close integration of British and American intelligence activities and is an example of how the 800 or so foreign military bases spread around the world are utilised to further the empirical reach of the US. The British Government seems prepared to go to any lengths to collect as much data as possible. In November last year a new law came into force - the Investigatory Powers Act 2016. It is widely known as a “snooper’s charter” and extends the reach of state surveillance in Britain. Jim Killock, executive director of the Open Rights Group called it “one of the most extreme surveillance laws ever passed in a democracy. The new surveillance law provides the security services and police with new powers to hack into computers and phones and to collect communications data in bulk. The measure has been described as “a death sentence for investigative journalism” in the UK and privacy campaigners claim that it would provide an international standard to authoritarian regimes around the world to justify their own intrusive surveillance powers. The Act may be challenged in the European Court of Justice which has ruled that the “General and indiscriminate retention of emails and electronic communications by governments is illegal”. Sweden is also keen on information gathering and has listening posts at Lerkil, south of Gothenburg and the island of Lovön, near Stockholm. Signals are also intercepted from a ship operated by the Swedish Navy and two Gulfstream IV aircraft operated by the Swedish Air Force. Duncan Campbell (a British investigative journalist who helped to expose the activities at Menwith Hill) has emphasised Sweden’s key role as a partner of the US and Britain in COMINT. 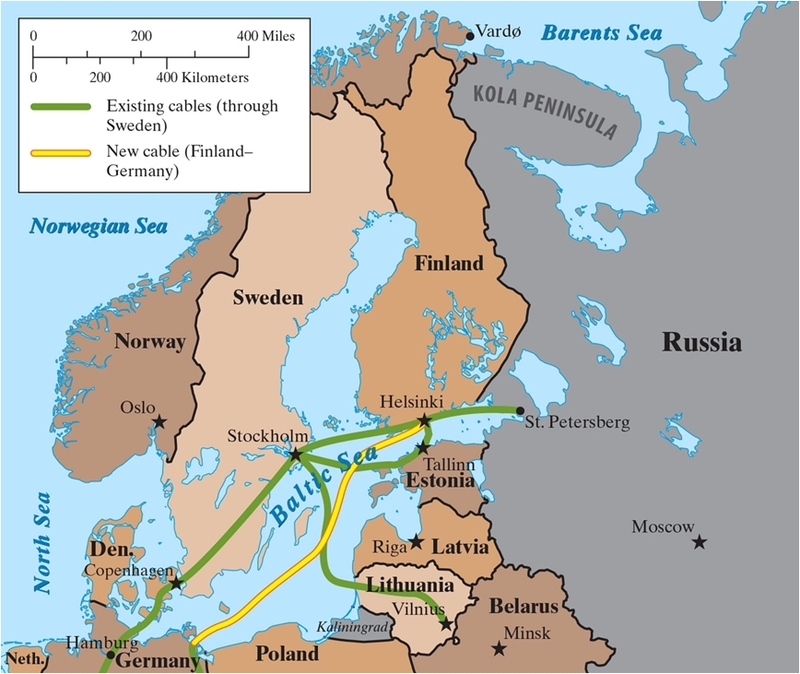 Sweden controls the cables through the Eastern Sea. Sweden has a third party agreement in surveillance with Five Eyes: The US, UK, Australia, New Zealand and Canada intelligence gathering and sharing agreement formed in 1949. In 2008 the FRA were given expansive powers to intercept all communications travelling over fibre optic networks into and out of Sweden—including e-mails, text messages, and telephone calls. A large percentage of Russian communications travel through Sweden and surveillance data has been shared with the NSA since 2011. In 2013, documents provided by Edward Snowden revealed that Sweden had provided the NSA with a "unique collection on high-priority Russian targets such as leadership, internal politics, and energy." The Norwegian Intelligence Service (NIS) has also been working closely with the NSA. In December 2013, the Norwegian newspaper Dagbladet reported that Norway was providing the NSA with tens of millions of communications every month – focussing on Russian politicians, military and energy targets in particular. 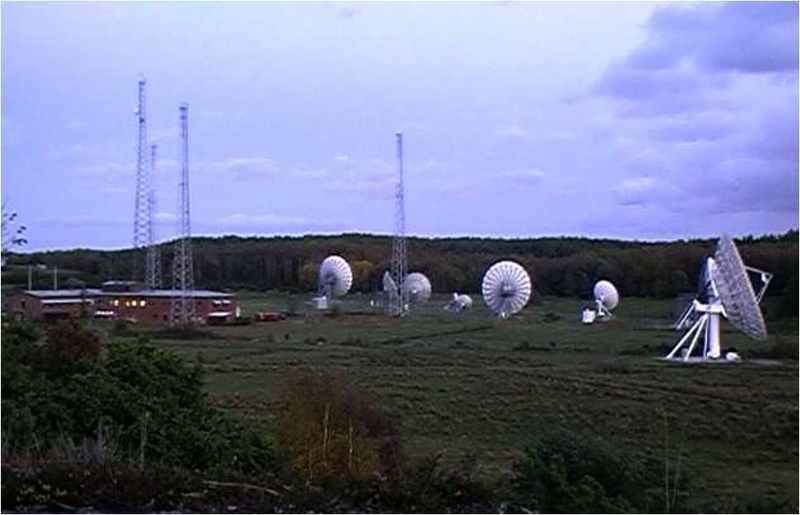 We also heard at the conference in Stockholm that a satellite receiving station at Fauske in Northern Norway has been involved in relaying information on to the US/UK for many years. In 1982, during the Falklands War, it was able to provide valuable information on Argentinian ship movements to the UK that had been intercepted from Russian satellites. 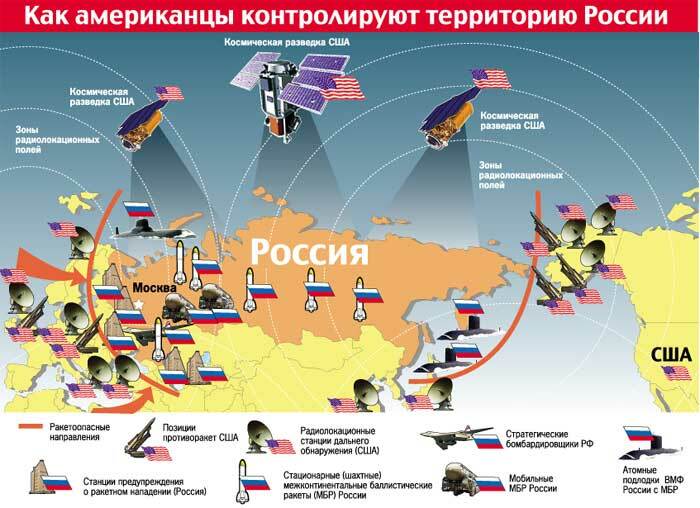 At that time the UK and US did not have satellites that could provide this information but the Russians did. 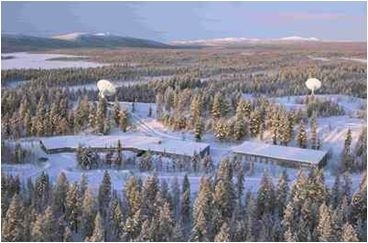 Finland too has a satellite receiving station at Sodankyla which does downlink data from the ESA’s Copernicus satellites which has dual use – military and civilian – capabilities. Last year the Finnish government also began discussing its own surveillance legislation - aimed in part at gaining access to its new undersea cable system called Sea Lion, which routes Internet traffic directly to Germany. 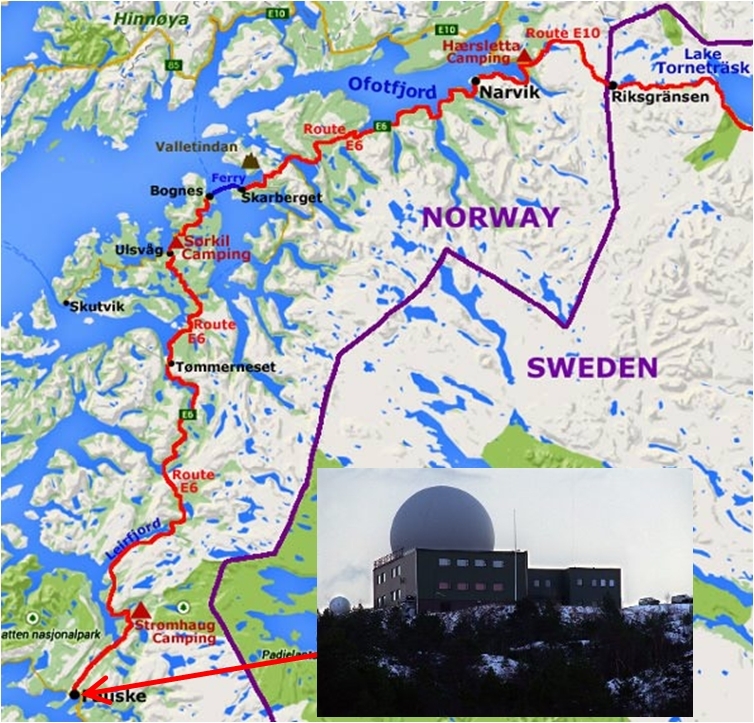 Russian communications may be able to bypass Sweden through this route. 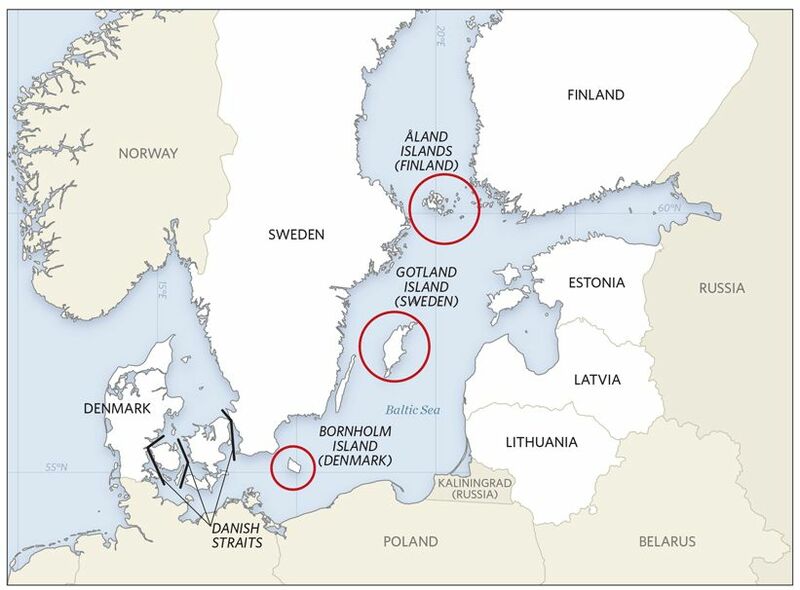 Thus the Baltic Sea is seen by many a major theatre in a new cyberwarfare arms race. Another area of escalating interest is the propaganda war. Hacking and cyberwarfare techniques are being used not only to attack technical installations but to plant false information to be used as propaganda by governments, the media and corporate interests. 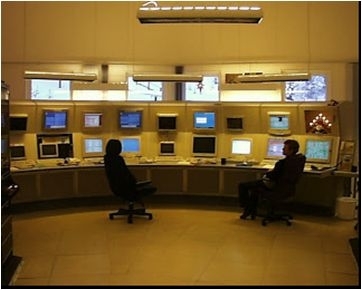 Sweden is involved in a US cyberwar project called Quantum and one of its operations known as WINTERLIGHT. This joint project between the FRA, NSA and GCHQQ involved hacking targeted computer systems and subsequent data interception, diversion and tampering. NATO and Russia have accused each other of spreading vast amounts of ‘false news’ to win over public opinion. 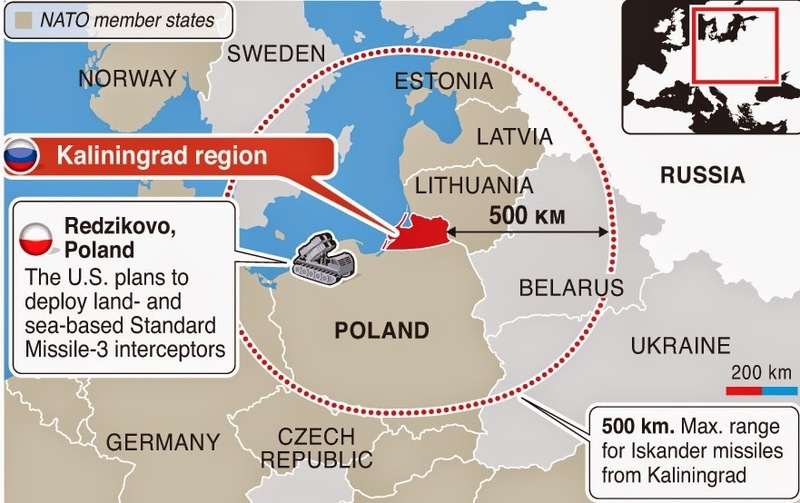 In 2014, Latvia, Estonia, Germany, Italy, Lithuania, Poland, and the UK signed a memorandum agreeing upon the establishment of a StratCom Centre of Excellence in Riga, Latvia - which Sweden joined in 2015. Another COE for “Cold Weather Operations” operates in the north of Norway, near Fauske. In the US StratCom (Strategic Command) is, among many other things, the Pentagon’s information warfare centre. The US State Department is already engaged in cyberattacks against the Russian Foreign Ministry website and social media channels and we are seeing currently how false news accusations are being made on both sides and escalating international tension. 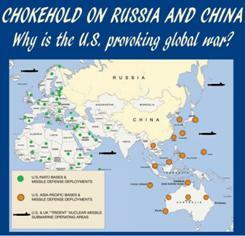 Russia is also being intimidated by the installation of US and NATO missile defence systems in Europe. When President Obama was elected to office in 2008 he shifted the emphasis of US missile defence from defending the homeland against ICBMs to defending military operations against regional battleground threats. This transition was to be carried out through his so-called ‘European Phased Adaptive Approach’ (EPAA) involving the expansion of the ship-based Aegis systems and developing a land-based missile launcher (Aegis Ashore). Months before Obama was elected President he Aegis system demonstrated its use as an anti-satellite weapon when it destroyed a US satellite said to have gone out of control in an operation called ‘Burnt Frost’. As a mobile system it can be readily positioned around the globe and, as of March 2016, there are 33 Aegis BMD capable ships in the US Navy (5 cruisers and 28 destroyers). Of these, 17 are assigned to the Pacific Fleet and 16 to the Atlantic Fleet with 4 deployed in the Mediterranean. 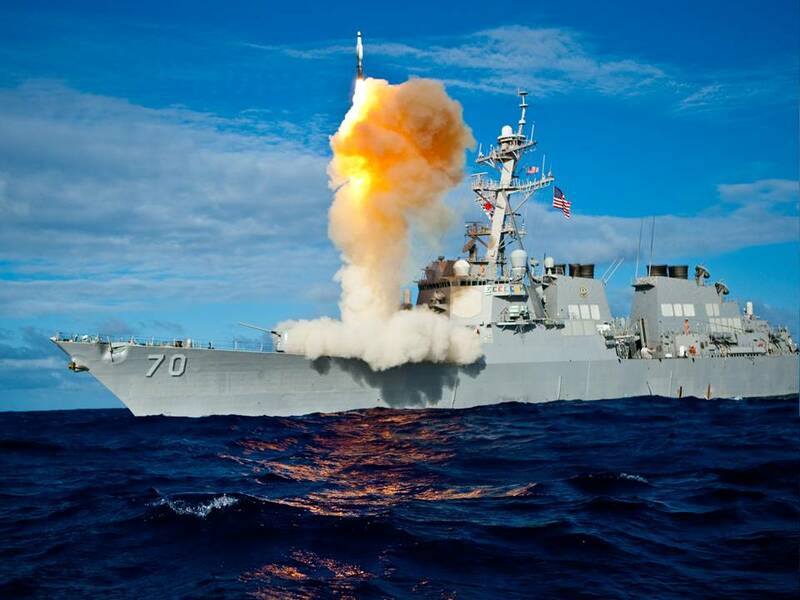 The Missile Defense Agency (MDA) and US Navy are working together to increase this to 43 by 2019 and the US Navy’s shipbuilding plan projects a total of between 80 and 97 by the end of 2043. 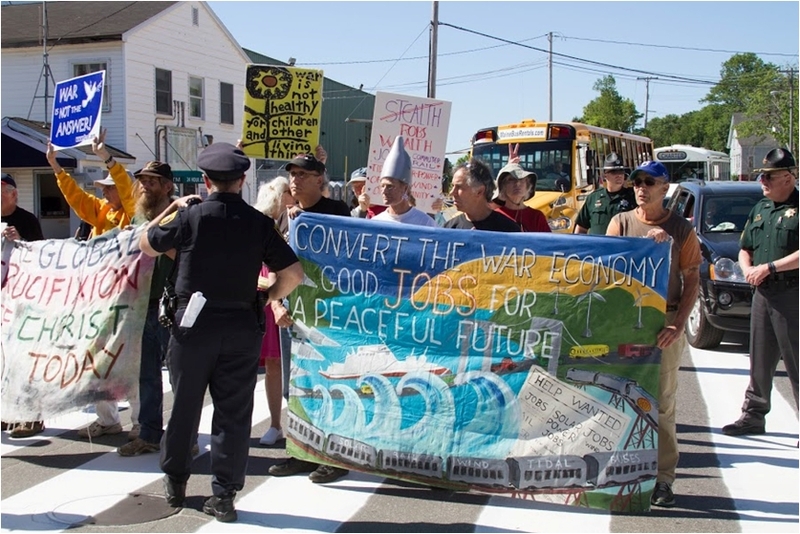 The Aegis ships are built at Bath Iron Works in Maine, also the home of our co-ordinator Bruce Gagnon and so the subject of frequent demonstrations. The ‘Aegis Ashore’ system is composed of a vertical launcher and support facility, similar to that being used on ships and, in addition to the Aegis systems, the US army has developed its own land-based mobile Terminal High Altitude Area Defense (THAAD) system to be deployed against short and intermediate range missiles. 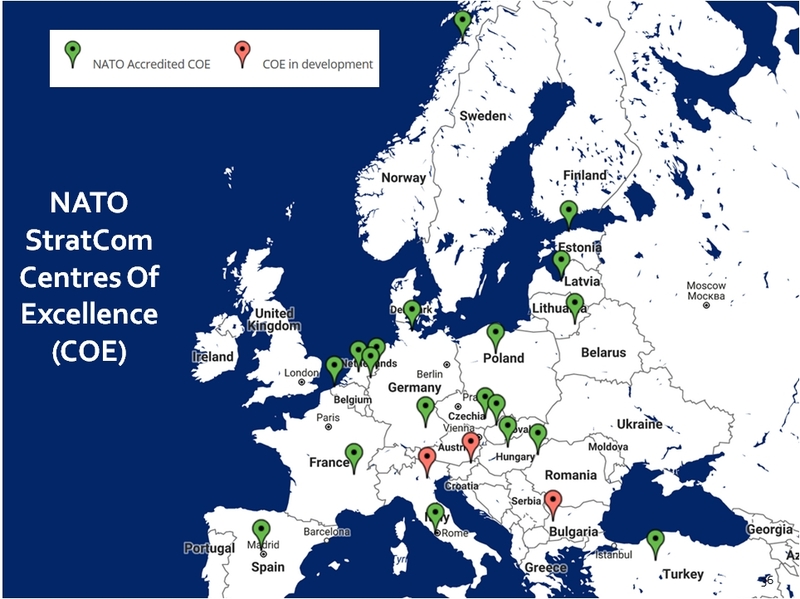 NATO soon took a keen interest and its 2008 Summit in Bucharest agreed to integrate components of the EPAA into systems that it was developing for theatre missile defence. 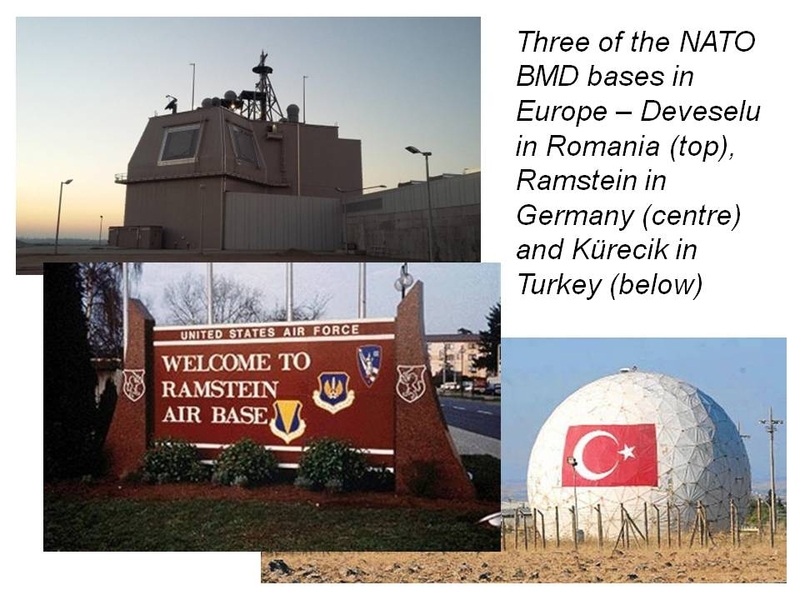 This soon developed further and in Lisbon in 2010 NATO decided to expand the combined programme to cover European populations and territory with a command centre at Ramstein Air Base in Germany. The US also confirmed agreements to base 24 Aegis Ashore interceptors at the Redzikowo military base in Poland by 2018 and the hosting of US Aegis missile defense ships in Rota, southern Spain. In addition, the Netherlands decided to adapt 4 air-defence frigates for NATO’s BMD capability. 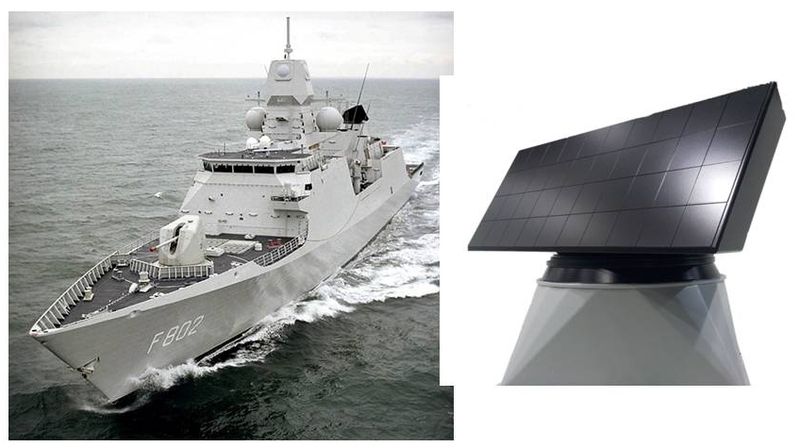 From 2018 all four Royal Netherlands Navy Air Defense and Command Frigates (ADCF) will be fitted with SMART-L radars to enable them to detect and track ballistic targets outside the earth's atmosphere for other NATO missile defense components. Russia is understandably uneasy about the destabilising nature of these moves and the build up of NATO troops on its doorstep. President Putin believes that the purpose of missile defence is to downgrade the Russian nuclear deterrent by disabling its ability to retaliate to a US nuclear first strike on Russian missile silos. A response from the few remaining missiles not destroyed in a first strike could be readily ‘mopped up’ by even a limited missile defence system. Russia is particularly concerned about the stationing of missile defence systems along its borders and has repeatedly asked for legally binding assurances that NATO missile interceptors would not be used against Moscow’s strategic missiles. However, Washington is unwilling to do this. 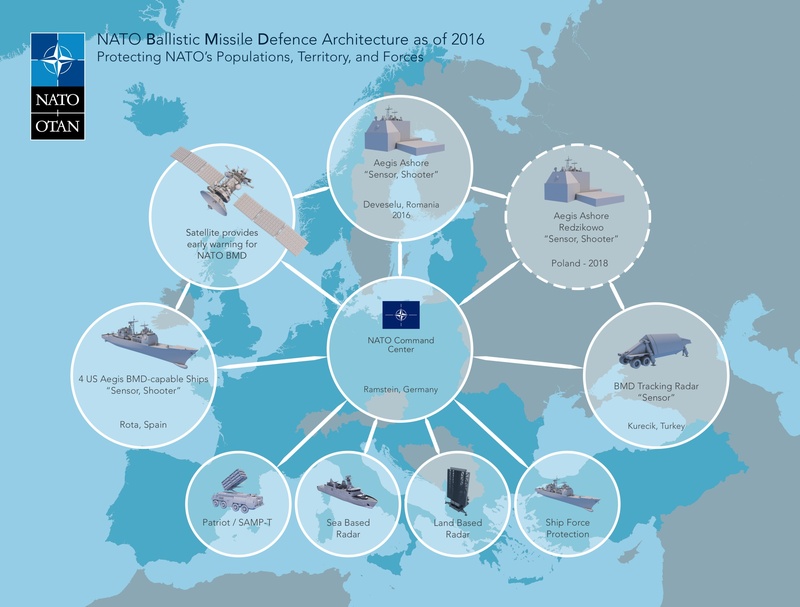 Opposition to missile defence systems in Europe is therefore increasingly important, as moves to install them are ratcheting up confrontation with Russia. The US is also establishing THAAD and Patriot missile defence sites and military bases in the Pacific region, causing China similar concerns. Opposition to these confrontational global military systems is therefore increasingly important, as they are ratcheting up confrontation with Russia in Europe and China in the Pacific region. Moves towards nuclear disarmament are being blocked and new arms races and new forms of warfare are developing - leading to potentially disastrous consequences. 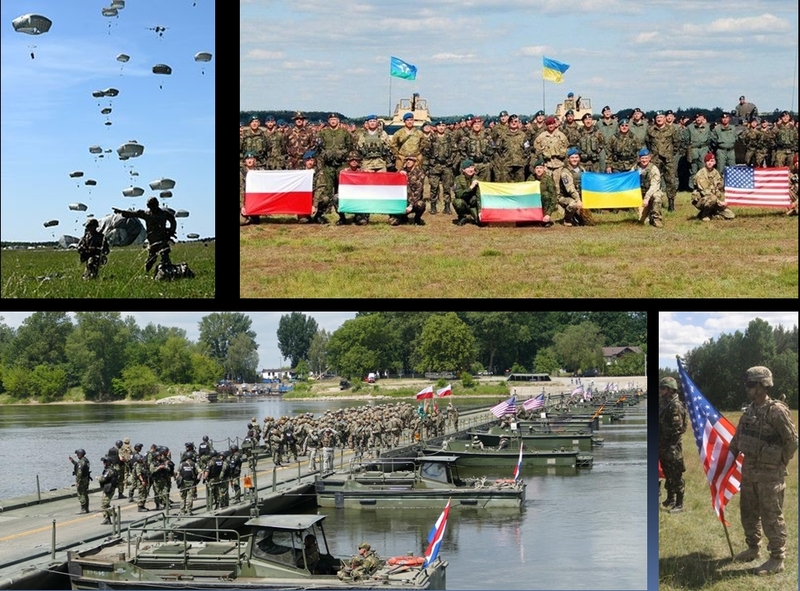 The western governments and media continue to claim that the increase in US and NATO military activities and the establishment of bases along eastern European and Scandinavian borders is “in response to Russia’s actions in Ukraine and Kaliningrad". However, Russia sees NATO and the US pushing military bases and escalating aggressive military exercises ever closer to its borders – despite past promises that it would not go there. 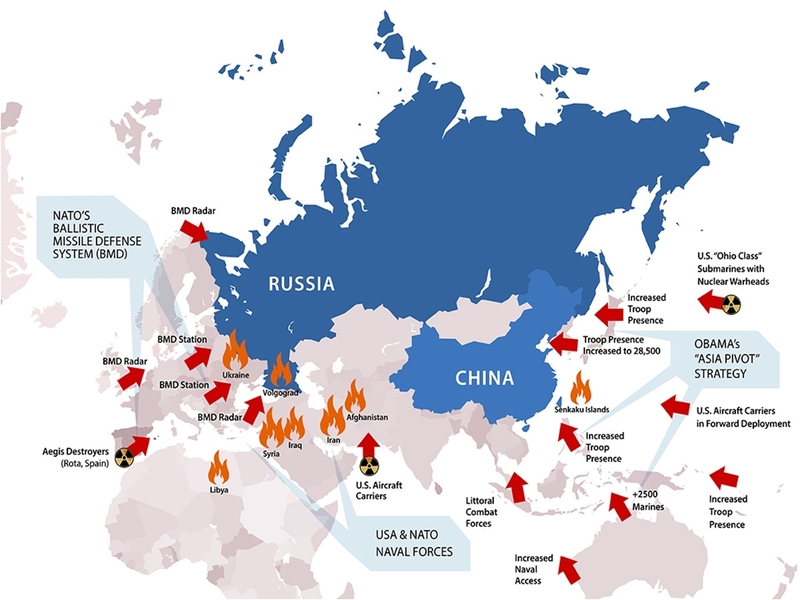 NATO has 3.5 million troops stationed in over a hundred bases in a ring around Russia, while Russia has some 900,000 armed troops – according to figures supplied by SIPRI, the US was responsible for 36% of the world’s military spending in 2015. Russia’s spending was 4% of the total and the UK’s was 3.3% with the total NATO countries being responsible for over 50% - who should fear who then? The western media conveniently overlooks these figures. The twin challenges of war and climate change threaten our very existence - to ensure our survival we must adopt ways of working globally through mutual trust and cooperation. The current rapidly changing security context requires a significant international dialogue which looks increasingly unl8ikely at this time. The current dependence on military aggression and intervention to address international problems must be abandoned and all foreign military bases closed. There is a growing awareness of the dangers of global militarisation and a growing resistance but it will require significant international co-operation between opposition groups and some courageous and inspirational world leaders to ensure that we survive the next 50 years or so.